This center can be used in grades K-1 or Intervention programs. 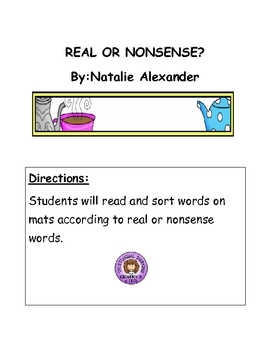 The center focuses on reading skills and determining words that are real or nonsense. Students will read the words and sort them into categories on their mats. After completing the center, the center contains a worksheet to assess their understanding of the skill.